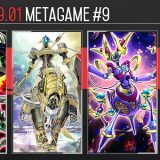 Welcome to Week #10, #11 of the OCG 2016.10 format. Eidolon Beast managed to close up the gap on Zoodiac, but it was a little too late. 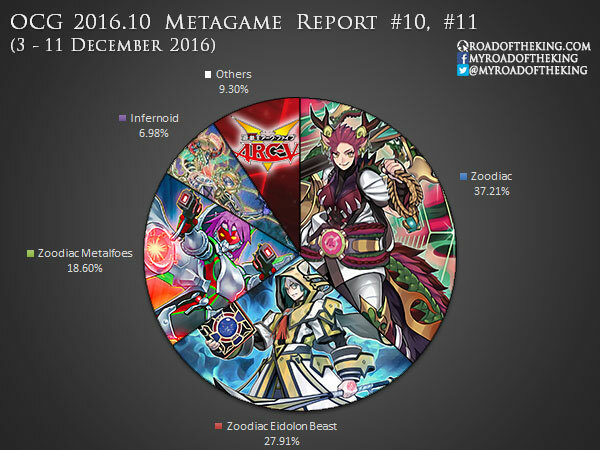 This report will cover 43 top-performing decks from 7 Japanese tournaments that were held during 3 – 11 December 2016. 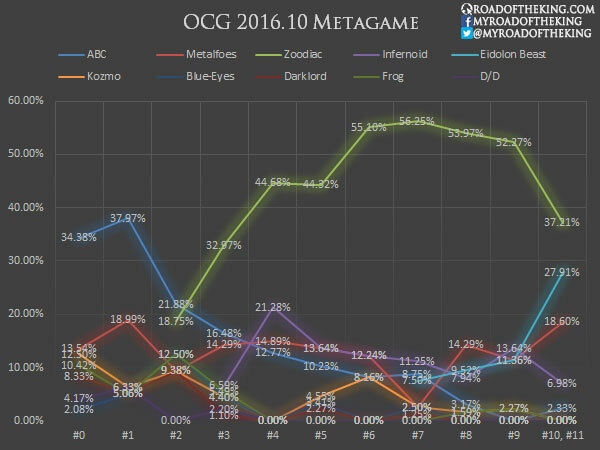 Interestingly, some players have started running Zoodiac without Speedroid, even before the news of the new OCG 2017.01 Limit Regulation. 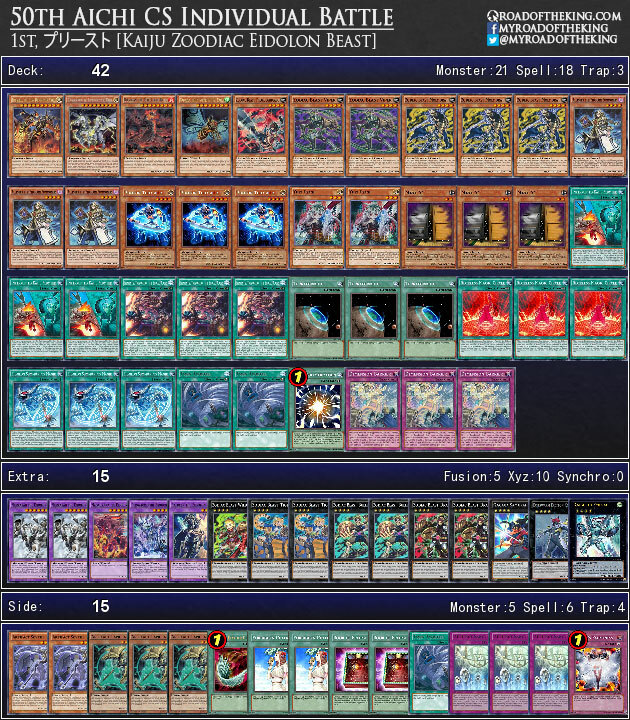 3 Zoodiac Ratpier, 3 Fire Formation – Tenki and 3 Zoodiac Barrage are sufficient to open consistency with Ratpier. 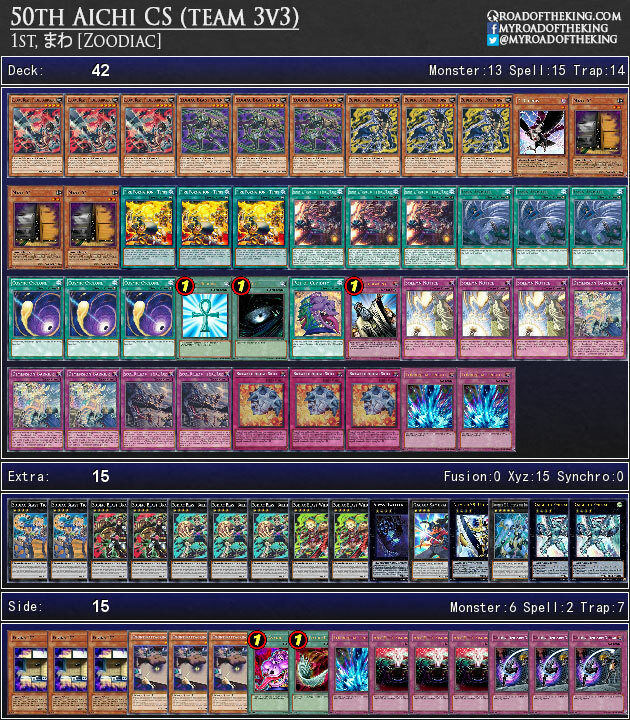 Once you have setup the combo, having the remaining Speedroid Terrortop in the deck dilutes the quality of the following draws. 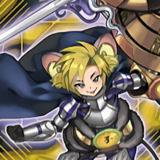 By cutting away the Speedroid engine, the deck becomes less susceptible to Maxx “C”, and draws more consistently into useful disruptive Trap cards. 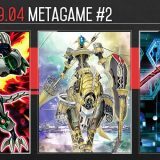 Unfortunately we would not be able to observe the actual effectiveness of a non-Speedroid build compared to a Speedroid build – most tournaments would be moving into the new OCG 2017.01 format where Speedroid Terrortop becomes limited to 1. 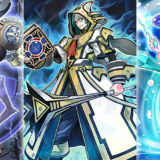 With the popularity of Dimensional Barrier, more players are trying to diversify their Zoodiac with another summoning method. 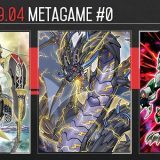 Zoodiac Metalfoes was a popular choice, but Zoodiac Eidolon Beast experienced a spike in popularity this week. 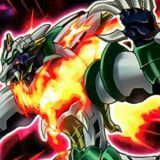 As Speedroid Terrortop and Fire Formation – Tenki becomes limited to 1 in the upcoming OCG 2017.01 format, it is unlikely that Zoodiac would remain viable on its own. 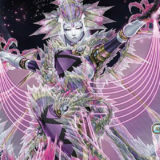 It is speculated that most players would move on to play Zoodiac Eidolon Beast. 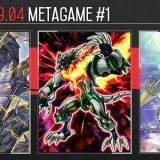 We are starting to observe a possible shift in the metagame, but the OCG 2016.10 format comes to an end with the announcement of the new OCG 2017.01 Limit Regulation. 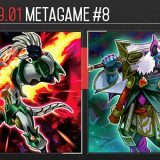 This is the last of the OCG 2016.10 reports, and we will continue after Christmas with OCG 2017.01.
they were too late, damage has been done. 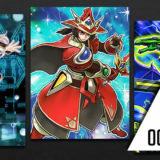 On 14 January 2017 in the new booster set “Maximum Crisis“. 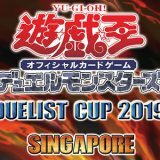 No more eidolon artifact wind witch? 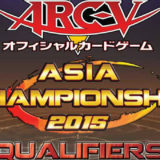 What is the ABC deck list? How is he functioning with only 1 hanger? 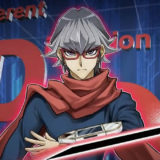 This is the OCG 2016.10 Limit Regulation. 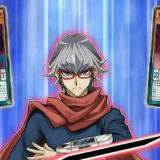 Union Hangar is limited to 1 later in the OCG 2017.01 Limit Regulation.